Our Management Team brings a unique set of sales, Project development, and operations experience. Key staff includes a host of industry recognized, Subject matter experts (SME's) coming together for a common MISSION. to empower the communities we serve! An electrical & energy engineer, project manager and business consultant, Rob has more than 11 years experience in program management, renewable energy systems design and development, systems implementation, training and technology management. Rob has developed and built more than 100 MW of solar and wind projects in the U.S. and Africa. Mr. Wallace has also worked in the power market, focusing on frequency response, energy arbitrage and battery storage. Mr. Wallace also has experience managing engineering, design, and development of all renewable energy projects for a host of private and public clients. Some noteworthy clients include University of Maryland Medical Systems, Johns Hopkins University, City of Baltimore, Carroll County Government, CHIMES International, and the Federal Government. Rob sits as Chairman of the board for CHIMES International and has served as President of the Baltimore Chapter of AABE (American Association of Blacks in Energy). Recent projects/awards include a 13.24 MW solar portfolio for Carroll County Government, 10MW Virtual Aggregate Net Metering project located at Nixon Farms in western Howard County, a 4.8MWDC ballasted ground mount system for Fort Campbell, and a 20MWDC ground mount system located in Frederick/Carroll Counties. Mr. Wallace has over 15MW of experience with capped landfills, in addition to two 10MW solar facilities in Howard and Carroll Counties. His flagship accomplishment was the development of BITHENERGY’s HRES (Hybrid Renewable Energy Systems) solution for residential and commercial structural retrofits. Recognizing that solar PV energy systems have limitations, and that wind power based clean energy generation also has its drawbacks, Mr. Wallace designed, built, installed, and successfully tested a user-friendly integrated PV & wind-based small energy system that can be modified for use on both small and large commercial and residential buildings. The test system, installed on a residential townhome in Baltimore’s Cherry Hill neighborhood, is realizing energy savings and serves as a model of the future in clean energy for low-income housing. Under Mr. Wallace’s leadership, in 2014 BITHENERGY was ranked #8 in the Country for Solar Developers and #49 for Solar Contractors. In 2015 BITHENERGY was ranked #1 by Fortune Magazine for the fastest growing “Inner City Business” in the country. In addition, BITHENERGY has just recently been awarded the first task order under the MATOC (Multiple Award Task Order Contract) for the Department of Army (7 Giga Watt opportunity). Mr. Wallace has over 100MWs of solar projects constructed, and over 200MWs in various stages of development/construction including the only successful VANM (Virtual Aggregate Net Metering) and bilateral settlement power clearing systems in the region. 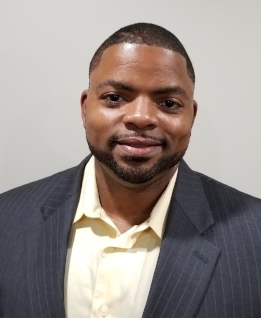 Mr. Wallace pursued his Masters degree in Electrical Engineering from Johns Hopkins University’s Applied Physics Lab, and earned a Bachelor of Science in Electrical engineering from Virginia Polytechnic and State University. He is an SMA Solar Academy graduate, a certified Wind System Design Specialist, and a certified EVSE installer for GE’s. He is currently pursuing his CEM, OSHA10, and LEED certifications to further broaden his Energy knowledge base. Future Hall of Fame linebacker and Super Bowl champion, Ray Lewis brings the same passion, drive and energy to his work with communities and energy as he did on the football field. As Chief Development Officer, Ray originates business and finance opportunities. Widely considered one of the best linebackers in the history of football, Ray Anthony Lewis was born Ray Jenkins on May 15, 1975, in Bartow, Florida. Lewis' early childhood years weren't always stable. His mother, Sunseria, was just 16 at the time of his birth and his father, Elbert Ray Jackson, was largely absent during his son's childhood. Disgusted with his father's lack of contact, Lewis abandoned the name Ray Jenkins and took the name of her mother's boyfriend, Ray Lewis, when he entered Kathleen High School. In 1992, Lewis, armed with a full scholarship, enrolled at the University of Miami, at the time home to one of the country's best football programs. He quickly became a vital piece in a vaunted Hurricanes' defense. Overall, he ranks fifth all time in school history in tackles, and at the end of his junior year was runner-up for the Butkus Award as the nation's best linebacker. In addition, he earned 13 trips to the Pro Bowl during his career and was named to the NFL's All Decade (2000s) team. Lewis's best year arguably came in 2000, when he led the Ravens to a Super Bowl title, and took home the game's MVP honors in the win. Overall it was an astonishing year for the Lewis led Ravens defense. The team registered four shutouts during the season and established league records for fewest rushing yards and fewest points allowed during a 16-game season. The news rallied a Ravens team that had faltered at the end of the regular season and helped steer the franchise to big victories over Peyton Manning's Denver Broncos and Tom Brady's New England Patriots. Lewis played his final football game on February 3, 2013, in New Orleans, Louisiana; in Super Bowl XLVII, the Ravens went head to head against the San Francisco 49ers, and won, 34 to 31. At age 37, Lewis had finalized his career with a second Super Bowl victory. "How could it end any other way than that?" he said to interviewers after the game, adding, "And now I get to ride into the sunset with my second ring ... Baltimore! Baltimore! We coming home, baby! We did it!" Jason is responsible for Power52 Energy Solution's project development and delivery. This includes project, site, and PPA (Power Purchase Agreement) development. Jason's responsibility are to manage P52's Clean Energy Solutions, from cradle to grave. Jason oversees the financial underwriting, teaming agreements, and community engagement on behalf of Power 52 Energy Solutions. In addition Jason specializes in waste to energy, and green house solutions. 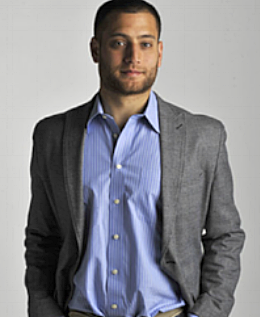 Jason Jannati is a leader within the cleantech industry. Raised in Columbia MD, principles of equality, diversity and community impact were instilled from an early age. Ingenuity, compassion and the spirit of entrepreneurship have been instilled to foster Jason as a thoughtful, caring, father, husband and community member. WIth over 13 years of experience in the cleantech industry, Jason has implemented over $15M in capital projects and serviced over 50,000 customers. Jason has managed implementation directly as well as teams of as large as 40 members to execute upon a vision of a more sustainable built environment. Working to reduce overall consumption, increase renewable energy generation, Jason’s passion is to transform the built environment to become more of a community based asset. Assets that produce clean power, clean food and local jobs with career potential. Jason is passionate about community development, especially as it can help to reduce our impact on the planet. Claire is Vice President of Project Finance for Power52 Energy Solutions. Claire is responsible for modeling and financing for clean energy solutions developed by P52. Financing models include debt-equity, PPAs (Power Purchase Agreements), capital leases, and partnership "Flip" models. Claire is also founder of CBJ Energy, an energy consulting firm and Property Assessed Clean Energy origination company headquartered in Baltimore, where she worked with financers, contractors and building owners to retrofit commercial buildings. Claire has launched companies, advised federal energy officials and developed new markets in both the public and private sectors. Claire was responsible for developing new Next Step Living service lines and markets. NSL provided energy efficiency services and technologies to over 30,000 homes per year. She opened NSL’s Connecticut and New York offices, and launched a community solar product. In 2003, she co-founded SunEdison, at one point the world’s largest solar energy services provider. Claire also previously served as vice president of Serious Energy, managing its nascent commercial financing program. Prior to Serious Energy but after SunEdison, she acted as energy-efficiency advisor to the secretary of the U.S. Department of Energy and acting Program Manager for the Office of Weatherization and Intergovernmental Programs. At DOE, she guided the deployment of $11 billion in economic stimulus funds for clean energy while championing policies to expand the impact of public investment through engagement with private capital. She was also a senior advisor at Hannon Armstrong investment bank. Claire earned a B.A. in environmental science and public policy from Harvard College and an M.B.A. from the Harvard Business School. Specialties: energy efficiency markets and financing, driving operations, solar energy financing, renewable energy, origination of renewable energy deals, renewable energy credit markets. Tech Student of the Year in the electrical program. electricians for skill proficiency and career advancement. Department, Quantico, Fort Detrick and others.